UK Safety Store is a UK business offering an array of health and safety supplies to companies throughout the country. 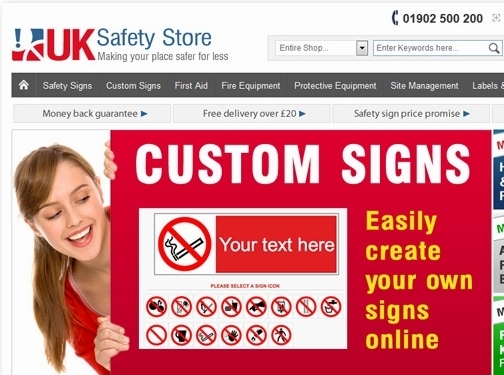 They offer a huge range of safety signs, as well as workwear, first aid kits, fire safety equipment and much more. UK (Wolverhampton) based business providing safety-related products including signs, first aid kits and workwear. Website includes e-commerce facilities, delivery and returns information, testimonials, FAQs, full contact details including company registration number. Company website has been online since 2010 according to web.archive.org.